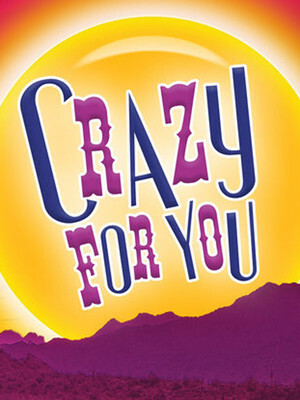 Crazy for You scrapes away decades of cabaret and jazz and variety-show interpretations to reclaim the Gershwins' standards, in all their glorious youth, for the dynamism of the stage. Why See Crazy For You? Praised for revitalizing the Great American Musical, this Tony and Olivier award-winning 1992 comic delight is revived in San Francisco by Bay Area Musicals, opening their 2018/19 season in a flurry of dance, laughter and romance set to the irresistible music of the Gershwins. Director and choreographer Matthew McCoy, alongside Music director Joe Gallo will breathe new life into the madcap adventures of Bobby and Polly and all the gang down in Dead Rock Nevada, in a staging intimate staging that brims with all important razzmatazz, with the original choreography of Susan Stroman as recreated by McCoy. Full of some of the Gershwin's greatest songs including "I Got Rhythm," "They Can't Take That Away from Me," "Embraceable You," and many, many more, don't miss this fantastically funny and joyful celebration of the best of Broadway and American talents! What is Crazy For You About? Bobby Child may be the heir to a banking empire, but all he's ever really wanted is to be up on the stage. When his domineering mother assigns him the task of foreclosing a rundown theatre in a remote Nevada town, Bobby's dancing feet get the better of him, and he determines to disregard his assignment, and instead, restore the theatre to its former glory. Add the beautiful Polly, daughter of the theatre owner, into the mix, and it looks like Bobby's found his real calling. That is until his mother arrives on the scene, and threatens to put Bobby back on the straight and narrow! Sound good to you? 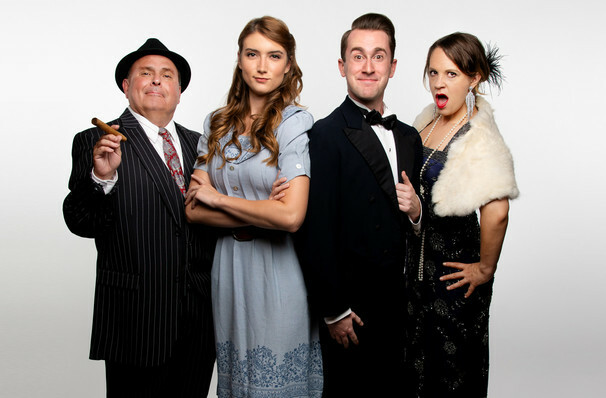 Share this page on social media and let your friends know about Crazy For You at Alcazar Theatre. Please note: The term Alcazar Theatre and/or Crazy For You as well as all associated graphics, logos, and/or other trademarks, tradenames or copyrights are the property of the Alcazar Theatre and/or Crazy For You and are used herein for factual descriptive purposes only. We are in no way associated with or authorized by the Alcazar Theatre and/or Crazy For You and neither that entity nor any of its affiliates have licensed or endorsed us to sell tickets, goods and or services in conjunction with their events.